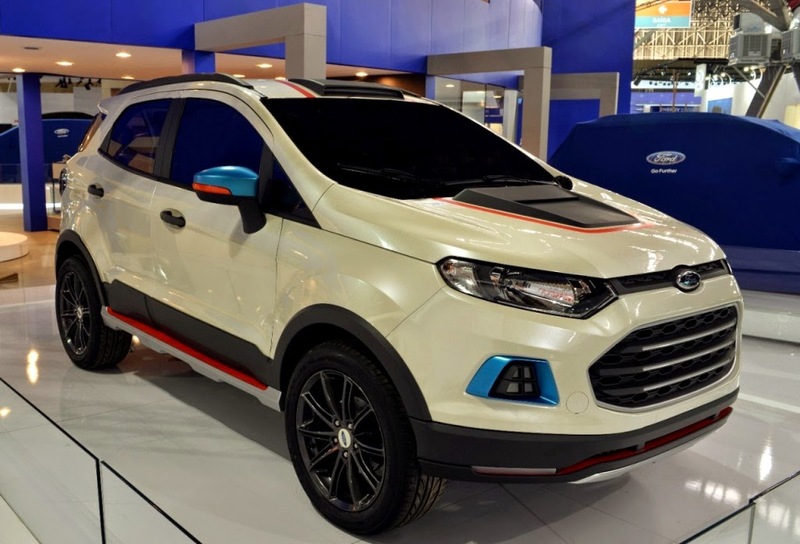 The first Ford concept car was named EcoSport Storm that comes with a more dashing looks. 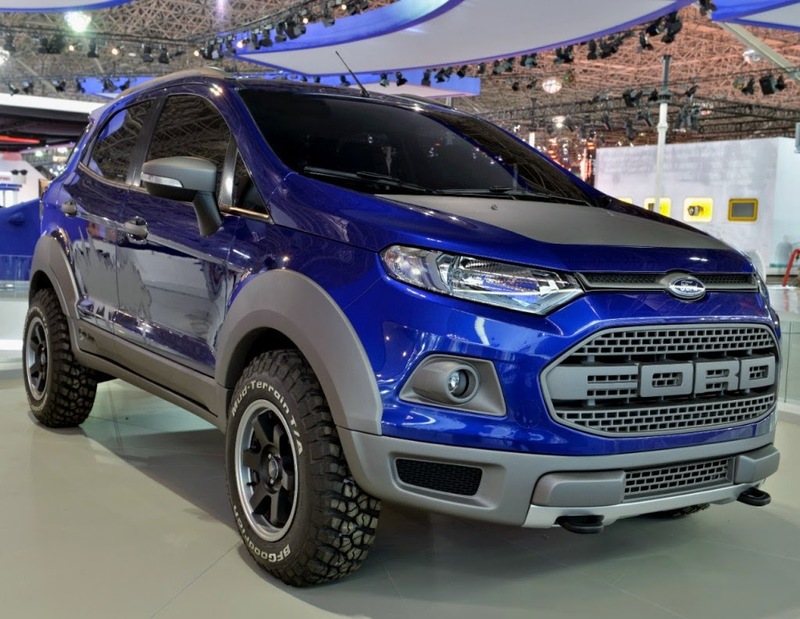 This concept car was inspired by the F-150 Raptor with a grille design similar to the American legendary trucks. Its body is also more muscular with the use of a wide fenders. Its macho aura increasingly emitted by the 4 off-road tires that wrapping the 15-inch alloy rims. 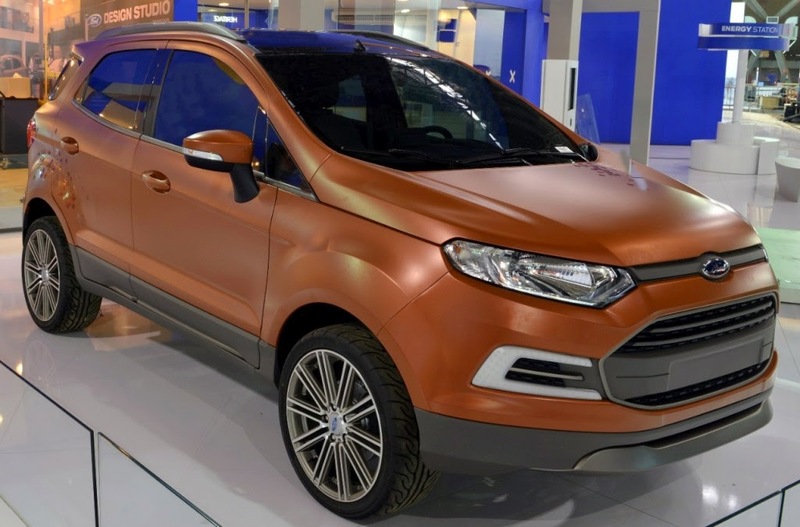 Then Ford also launched Ford EcoSport Beauty concept that comes with painted in matte metallic Copper Stardust, and black colored roof. It has also the LED fog lights and uses the 18 inches alloy rims. The crossover concept car has four individual leather seats, which is equipped with a GPS navigation system, as well as the entertainment system for the rear seats.